Explore how BVKN can help you expand your career options. Build the Grid for Robots – Your New Customer! Ready to Embrace Opportunities in Digital Infrastructure? Every second, the Internet of Things produces staggering amounts of information. But what does it tell us about our power, water and telecommunications networks, and where does all of that data go? Its time for solutions that put you back in control. As a member of BVKN, our members have the opportunity to engage in a variety of IoT related projects and even explore the new frontier of digital water. Data has the power to transform the world as we know it. 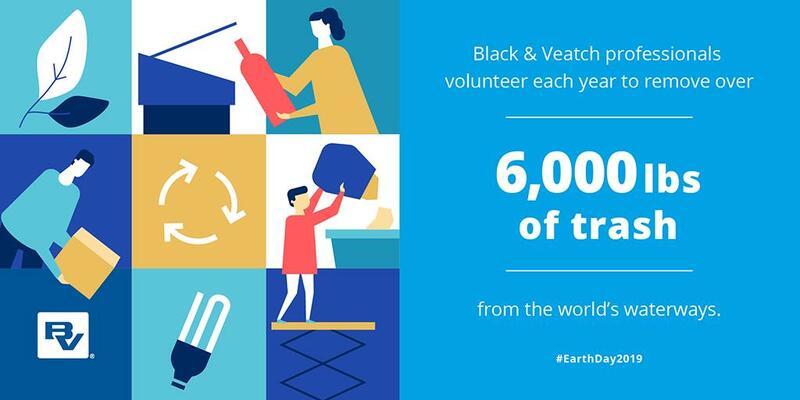 Learn more about what Black & Veatch is doing to help our clients design digital solutions that put them back in control and empower decision making abilities like never before. The ask came from a water utility client that for years had amassed a tidal wave of data from electronic meters, system monitoring equipment and other technologies. Built in the 1950s, the client’s treatment plant was becoming costlier to operate – and capital to fund upgrades was limited. With rising pressure for speed and efficiency across their organization, data capture alone wasn’t enough. Their team needed technology that not just collected that data, but empowered better decision making, investment planning, efficiency and sustainability. To move from data harvesting toward data science, our client tapped ASSET360™, Black & Veatch’s data analytics tool, and soon the platform began receiving actionable intelligence across plant operations. Real-time process calculations saved valuable time by replacing cumbersome spreadsheets. Remote monitoring by Black & Veatch process engineers provided added confidence and support for their decision-making processes. Initial results were so compelling, ASSET360 was later extended to include two additional wastewater treatment plants and two water treatment plants. Global infrastructure leaders understand that digital systems are smarter systems. Just as smartphones and intelligent devices reshape our view of connectivity, the power of data to raise performance changes our understanding of critical infrastructure, how we manage operational maintenance, think about security and plan for future resilience. Edge computing, data centers, metering and sensoring technologies across the energy, telecommunications and transportation sectors are pushing the Internet of Things (IoT) deeper into our systems and creating endless volumes of information. That data needs corresponding software applications to harness it, visualize it and serve it up in ways that inform and improve decision making. Moving to the digital future across power, water and telecommunications will test our collective comfort, because it raises real questions: Will this reliance on automation and data override human intuition and control? Can we protect our systems against hackers? How do we convince customers that the payoffs are worth the investment? After all, projects – now more than ever — must be hard-wired to performance and the bottom line. Data performs because it informs. It equips plant operators and project managers with keen insights about their systems. It predicts customer behavior, enhances safety and warns us about equipment failure. Putting that information to work requires an organizational decision to embrace data, then finding an experienced and trusted partner to help you put that information to work. Kraft Heinz Co replaced Chief Executive Officer Bernardo Hees with Anheuser-Busch InBev veteran Miguel Patricio, changing leadership after years of cost-cutting that has hurt some of its biggest brands. The United States on Monday said it will eliminate in May all waivers granted to eight economies allowing them to buy Iranian oil without facing U.S. sanctions, as it ratcheted up pressure to choke off all oil revenues of the Islamic Republic. Black & Veatch Knowledge Network is an entity of Black & Veatch Management Consulting. To contact a BVKN professional email us at questions@knconsultant.com. Copyright © 2018 Black & Veatch Holding Company. All rights reserved.